I’ve always enjoyed classical music, but I’d never noticed the relation between Tchaikovsky and Prokofiev before. Prokofiev’s Piano Concert #1 really does sound like it’s mocking Tchaikovsky’s. But I have to admit that after listening to that, I still enjoy Tchaikovsky. When comparing the two Romeo and Juliet compositions, I noticed that while they did have similar sounds and structures, Tchaikovsky’s had sections that were much faster paced and almost frantic. Prokofiev’s was slower, yet just as dramatic in certain places (albeit much calmer). Because Tchaikovsky’s was more than six minutes longer, it had a bigger range of emotion, but both pieces were pleasing to my ear. I enjoyed listening to all of this music. I’m so pleased you took a moment to listen to this music. I find materials like these can really illuminate readings, and vice versa – to say nothing of the fact that they are enjoyable on their own. It doesn’t matter than you either do and don’t continue to like Tchaikovsky (or anyone else) after hearing different pieces juxtaposed. All that matters it that you hear with better ears, and that you recognize the very specific developments that are taking place in 20th-century classical music. I have had the honor of performing several of these pieces, and if not these, some other notable works from each of these composers. Such contrasting themes and emerging composition styles are attributed to these musicians, and I adore all of it. Along the lines of what Aleah mentioned, the comparisons between Prokofiev and Tchaikovsky’s Romeo and Juliet are worth noting. I’ve played both pieces, and I am partial to Prokofiev’s. The instrumentation is very unique; being an orchestral ballet with prominent tenor saxophone, mandolins, and other intriguing voicings is very fascinating to me, as it is a perfect example of embracing, if not encouraging, deviance from the “rules.” Prokofiev used dissonance in a very new and exciting way without every detracting from the true beauty of the melody. The call and response employed throughout the piece, especially in the “Dance of Knights” episode, is beyond stunning, and the story is told with the same drama and vivacity that Shakespeare had employed. Tchaik’s Romeo and Juliet is limited in the sense that it is merely a stand-alone piece, and though it still invokes great emotion and is a staple piece, it simply does not compare to Prokofiev’s, nor Tchaik’s other world-altering works such as his Waltz of Flowers or the 1812 Overture. Shostakovich, with his Jazz Suite, seemed to be bridging a gap between classical music and jazz, but ended up merely emulating both. It is a fascinating debate to this day whether or not he intended to create real jazz. Mounting pressures from Russian government to dive into the world of jazz perhaps made him feel cornered into it, and there is question as to if this were truly an attempt to embrace it, or a half-hearted nod to a musical style he simply wasn’t ready to celebrate. Either way, the Suite is apolitical, lighthearted, and simply enjoyable. I’m glad this post caught your attention and I appreciate your remarks and observations. It’s good to know young persons still have an ear for classical music. I came to it quite late myself, but I’m so glad I found classical music. I love it for its own sake, but also because of the way it adds to my appreciate of other forms of music. With you, I tend to prefer the modern Russians (especially Prokofiev) to early music, but there is something to be gained from all of it. Both you and Aleah seem to have picked up on the parodic character of Prokofiev’s piano concerto. It’s all swagger and bluster, yet it feels essentially and deliberately insincere. This is one of the qualities which Eliot valued in poetry. While writers such as Wordsworth clear and direct communication of powerful emotion, Eliot instead calls for poetry which is ironic, in which the authors does not speak ‘in his own voice’, but rather sporadically adopts and drops different voices or masks, making it hard to tell what the author is actually trying to say, and whether he even means what he says. Eliot will describe this sort of irony in “Tradition and The Individual Talent”, and he will embody it in poems such as ‘Prufrock’, and even more so in “The Waste Land”. I feel we need to discuss these issues a bit more, and I will try to use our session tomorrow to do that. I have never been much into classical music, but I am glad you posted this to give me an opportunity to listen to something outside the realm of what I am used to listening to. I have often considered and sometimes tried listening to this kind of music when I study after reading multiple articles about the positive effects it can have on cognitive function. It took me a couple listens to hear Prokofiev’s parody of Tchaikovsky. What I thought was interesting is how Prokofiev was able to parody something with just music no words, no images or really nothing that we generally associate with parody. Overall, I enjoyed much of the music more than I thought I would, and I am glad that I stepped out of my comfort zone musically and gave what you linked a listen. I had a lot of fun listening to the differences between Tchaikovsky’s Piano Concerto and Prokofiev’s. While listening to Tchaikovsky’s piece, images of rolling green hills dotted with cozy houses and productive farm workers came to mind. In contrast, while listening to Prokofiev’s take on it, images of those same hills and houses being burned down but in such a way that it’s a joyous fire, almost like a rebirth. It also appeared the Prokofiev’s piece was a way of mocking what Tchaikovsky did in the same way a group of toddlers make fun of what each other says. I can’t say my imagination is a fertile as yours. But that is probably to my own discredit. One thing one which we might agree is that while Tschaikovsky sounds bloated with excessive emotion, it still seems organic. As sick organism, but an organism nevertheless. 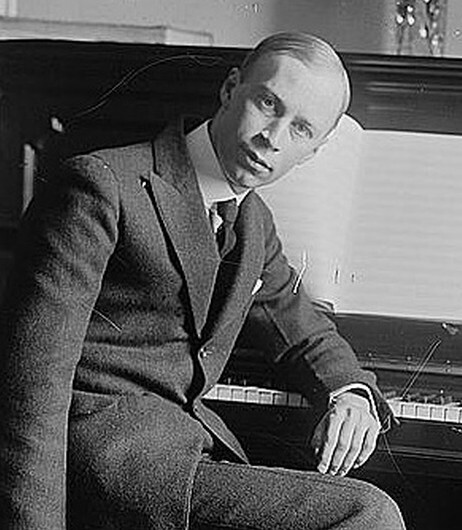 Meanwhile, it’s hard to miss in Prokofiev a distinct shift toward the mechanical. Whatever any of us might get from these different pieces, I very glad you took a moment to explore.